East Renfrewshire Chamber of Commerce extends a warm welcome the food retailer Lidl as they prepare to open on the site previously occupied by Whole Foods Market in Giffnock. The area has a thriving food and drink offer, high levels of occupancy and a strong Business Improvement District. Lidl is to set to open a store in Giffnock as part of its ongoing expansion ambitions in Scotland. The announcement comes as Lidl confirms it has agreed contracts with Whole Foods Market and the landlord to occupy the unit, and the supermarket hope to refurbish and open for trade later this year. Lidl will be installing a bespoke in-store bakery to complement their industry-leading value for money product range and will be creating up to 40 new jobs with the opening of the store. 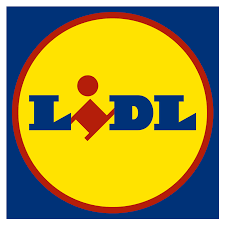 The planned store in Giffnock will add to Lidl’s existing store portfolio in the UK of over 700 stores, and will form part of the company’s growth plans which will see it open up to 60 new stores a year across the UK. Lidl has experienced continued growth in Scotland over the years as consumers flock to the supermarket to discover its great value products – currently sourced from over 60 Scottish suppliers – ranging from quality fruit and vegetables, to dairy and bakery lines. Lidl’s success shows no signs of slowing, as the latest Kantar Worldpanel results outlined market share of 6.0% in Scotland.